Works of origami art submitted to the 10th Annual OrigaMIT Student Origami Competition are now on display in the Weisner Student Art Gallery in W20. 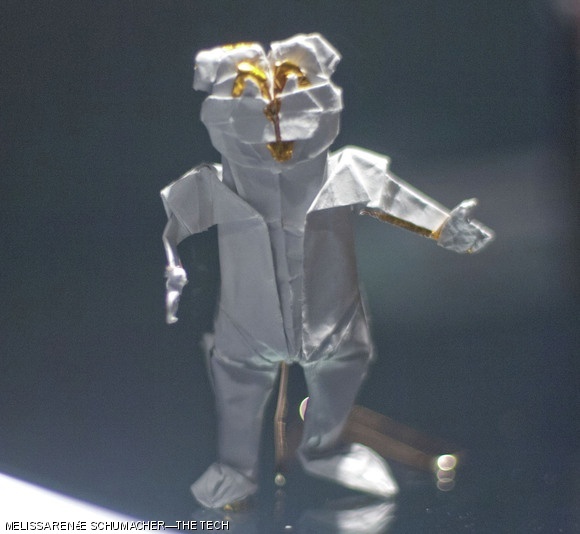 Shown here is Tim the Beaver, designed and folded by Michelle Fung ’13. The exhibit runs until the end of April.